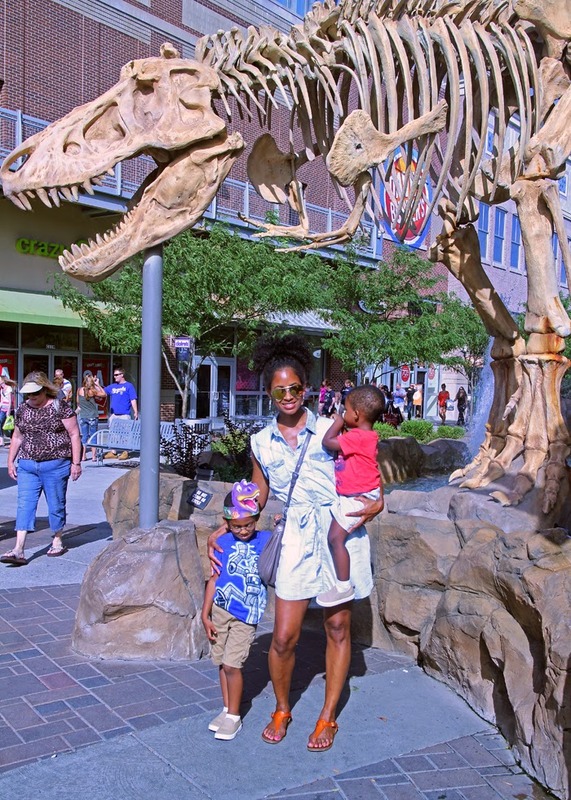 This past weekend, the fam and I had lunch at T-Rex Cafe at The Legends Outlet Mall. 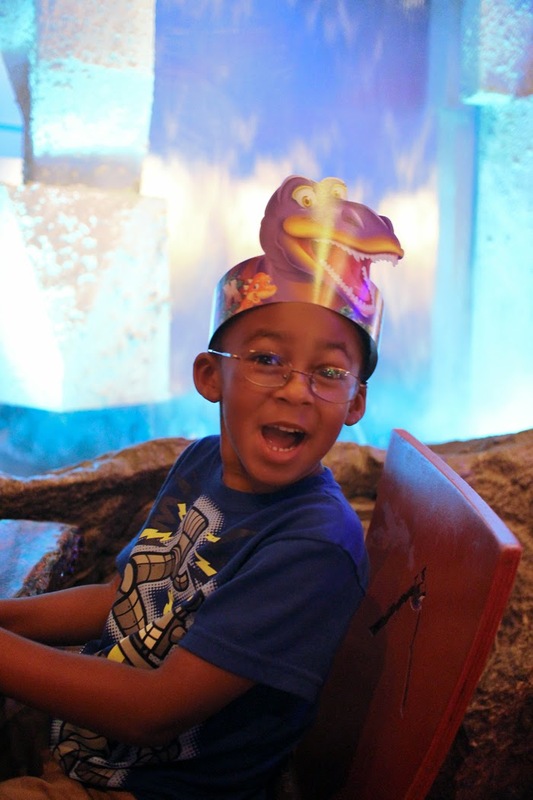 I don't have that much to write about it, except to say that the food was better than I'd thought it would be and the boys had a great time! 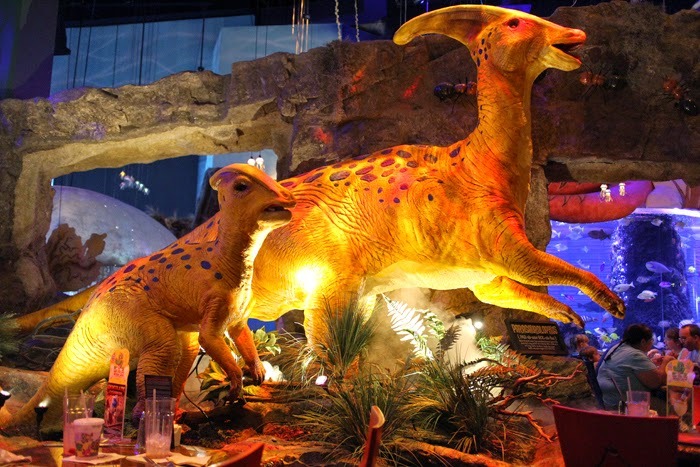 The restaurant has a rainforest-y feel with life-sized dinosaurs that make noises and move. There are a few really big aquariums filled with all kinds of tropical fish, as well. 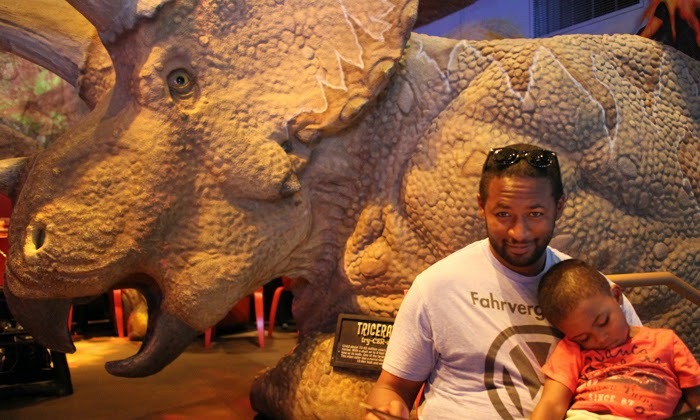 It is an amazing site to see, and I would recommend taking the kids, if you have them, and are in the Kansas City area. There is another location in Downtown Disney in Orlando as well! they are too cute, what a fun outing!